The keynote to the Epistle to the Hebrews is “consider Jesus Christ, the Son of God, and the Messiah.” It admonishes us to set our heart on Him. "Therefore, holy brethren, partakers of a heavenly calling, consider Jesus, the Apostle and High Priest of our confession" (Hebrews 3:1). The word “consider” (katanoeo) literally means, “to direct one’s whole mind to an object,” to immerse oneself in it and hence to apprehend it in its whole compass” (TDNT). In order to grow spiritually, we must fix our mind on Christ. It is imperative that we consider carefully and understand fully the person and work of Jesus Christ. The word “consider” is formed from the root of the Latin word for “star” and originally means to contemplate with the idea of a quiet, patient, persevering concentrated gazing in order to study the stars. He wants us to see the significance and thoroughly weigh the evidence of Christ’s superiority over the prophets, angels, and the patriarchs of Israel. Because of the greatness of His person, the effectiveness of His redemptive work will be pleasing to God the Father. The writer of Hebrews is addressing Christians calling them “holy brethren, partakers of a heavenly calling” (v.1). Believers in Jesus Christ are saints. 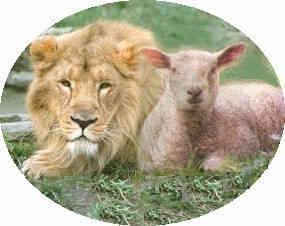 We are “holy brethren” in our standing with God because of the atoning sacrifice of Christ. We are holy in Christ. It is Jesus who makes us holy. The word “holy” in this verse is emphasizing our position in salvation. We have been “set apart for God.” Christian believers are saints, set apart ones. Sainthood does not take place in some distant future. The believer is already a saint because He is “in Christ.” This perfect standing with God should be the greatest incentive to make every effort to live a godly life before Him (Phil. 3:14). He has made a perfect propitiation for the sins of His people (1 John 2:21; 4:10). The believer is holy because God has made him so (Heb. 2:11). We “share in the heavenly calling” because God “is bringing “us” to glory” (2:10). We share in Jesus Christ (Heb.3: 14; Eph. 5:30). We are “partakers of a heavenly calling” (Heb. 4:14; 10:23). “The call comes from heaven and is to heaven in its appeal,” says A. T. Robertson. Jesus Christ is both “The Apostle and High Priest” of Christians. Jesus is “The Apostle” because He was sent by God the Father to be His spokesman and revealer (Heb. 1:1-3; Jn. 3:17, 34; 5:36, 38; 6:29; 8:42; 10:36; 11:42; 13:3; Matt. 17:5; Deut. 18:15, 18). Because He is God’s ambassador, we need to consider carefully and fully understand what He has revealed to us about a right relationship with God. Jesus is also our great High Priest (Heb. 2:17-18; 4:14). He represents God before men and man before a holy God. “As an apostle, He is close to me; as Priest, He is close to God.” “God was in Christ reconciling the world to Himself” (2Cor. 5:19). Christianity is Christ. Therefore it behooves us to contemplate and meditate on Him. Lord Jesus, will I see you today? The Lord is not ashamed to call us His brethren (Heb. 2: 12). May we never be afraid or embarrassed to call Him our Lord and Master (Matt. 10:32-33). No passing glance of Christ will do. Understand and learn the lesson that God wants to teach you. “Consider attentively and thoughtfully the Apostle and High Priest of our confession Jesus” (Wuest Expanded Translation).